[ Editor’s Note: Reposted with permission! ] 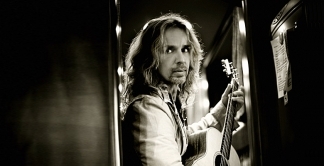 Tommy Shaw is literally the hardest working man in music – he has three major album projects on deck (more on that later) and he’s gearing up for Styx’ fall tour, where the band will perform 1977’s “The Grand Illusion” and 1978’s “Pieces of Eight” in their entirety. Song Movie Year Performer 1 “Over the Rainbow“ The Wizard of Oz 1939 Judy Garland 2 “As Time Goes By“ Casablanca 1942 Dooley Wilson 3 “Singin’ in the Rain“ Singin’ in the Rain 1952 Gene Kelly 4 “Moon River“ Breakfast at Tiffany’s 1961 Audrey Hepburn 5 “White Christmas“ Holiday Inn 1942 Bing Crosby 6 “Mrs.